Picture this, a golden retriever running across a freshly mowed backyard, children playing through sprinklers and the smell of dinner being cooked in the kitchen of your perfect suburban home. Rows after rows of similarly picturesque houses line the streets of your community. The American Dream; or what it used to be. Today, people have chosen a different approach to what they choose to call “home”. A home can now be a renovated school bus, a windmill, a clock tower, a Hawaiian bungalow, or even a treehouse in the Costa Rican rainforest. Check out these epic homes located in unique places around the world. Completed in 2016, by German natives Felix Starck and Selima Taibi, the “Expedition Happy” was a renovated school bus that served them as a home as they traveled across Canada, the western half of the United States, all before cutting their journey short in the southern tip of Mexico. After heading home, their bus found its way to Louis Cole, an English filmmaker. 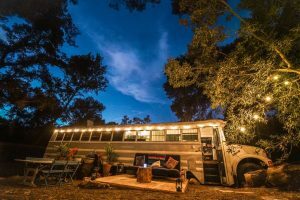 Now renamed “The Happiness Bus”, the bus has found a permanent residence near Calabasas, California at the Malibu Canyon Retreat. It can be be rented out via AirBnB. Most people think all celebrities live in extravagant mansions that are lined with sports cars and have acres upon acres of grassy areas to land their private jets. Actor, Robert Downey Jr. however, went for a more “whimsical” approach to his family home. 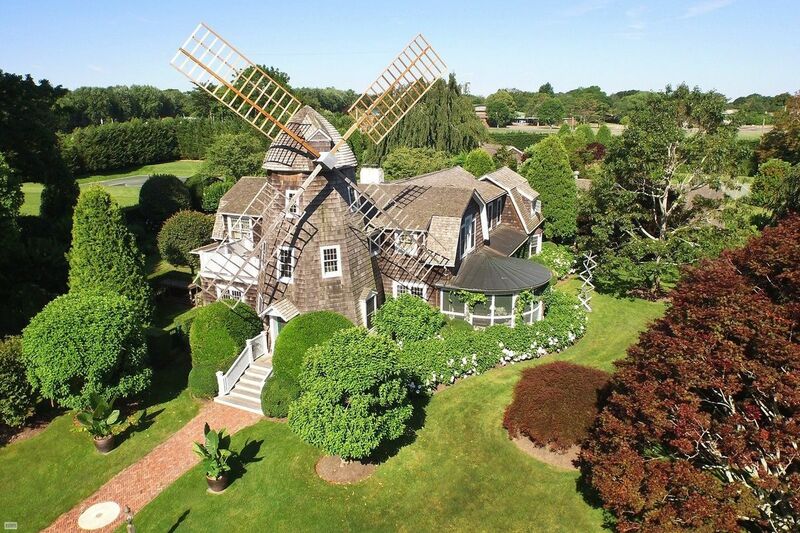 Located in East Hampton, he purchased and remodeled an old windmill cottage built in 1885. The home, never an actual windmill, sits on four acres of land. The main house has seven bedrooms, six full bathrooms, and five half bathrooms. The windmill houses an office space and a library. The property is also occupied by a three car garage, pool, tennis court, and guest house. Located in Dumbo, Brooklyn, the Clock Tower penthouse is one of the most expensive homes in the area. On the market since 2010, the penthouse finally sold in 2015 for $15 million. It really is a millennial dream from its three story open space, hardwood floors, and custom glass elevator. 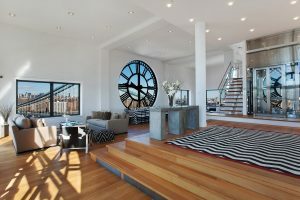 However, its most extravagant feature has to be its 14-foot windowed working clocks that surround the living rooms space. The views from the windows include the city of New York and the Brooklyn Bridge. Garrett and Jessica Gee are a nomadic couple that started a blog and YouTube channel called The Bucket List Family. For the past three years, they have traveled nonstop across the globe with their three children. Most recently they made the decision to slow down and actually settle down. 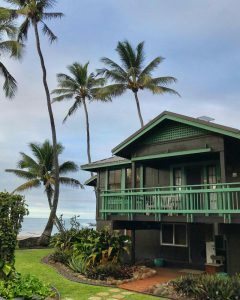 Originally from Utah, they decided to buy a home in Hawaii. The house, an 80-year old bungalow, was shown in an online series, called Travelling Home on YouTube. During the last few months, the Bucket List Family has gathered inspiration from their travels to incorporate into every room in their new home. The house is incredibly minimalistic and even has a home gym, an outdoor shower, and a Vivint Home Security system to protect the house during the family’s continued travel. Another one of these epic homes is the Finca Bellavista, located in the Costa Rican rainforest and is a sustainable treehouse community. 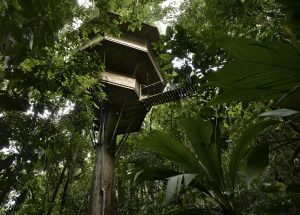 Each treehouse, fourteen to be exact, is privately owned but can be rented out for personal enjoyment. Plots of land from the 300 acre community can be purchased by the public with the intention of building a stilt house or treehouse. The community has a network of zip lines called the “Sky Trail” that serves as the communities prime form of public transportation. Although highly sustainable, the base of the community does provide high-speed internet and WiFi. These are just a few examples of what a home can be in today’s world. The old fashion idea of having four walls and a simple home are long gone.